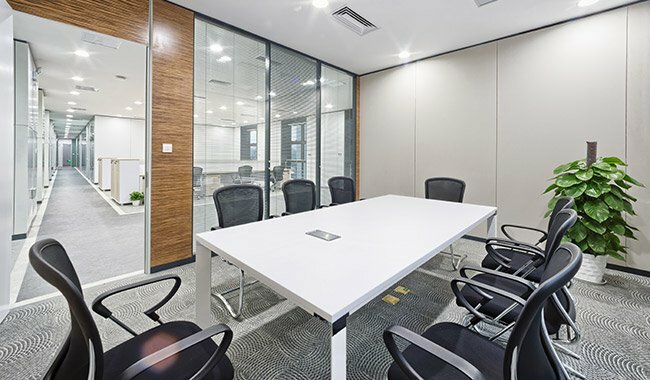 Whether you are participating in one of SwissOffices schemes or not, meeting facilities are available to those who wish to have a productive business meeting with the support of a professional team. At SwissOffices the cost of meeting facilities is limited to the size and time you need to use them, just like your office space. The SwissOffices team always ready to serve you and find solutions for you will contribute to your business prestige as well as making your meetings more productive. You can focus on your business fully. Swiss Meeting Facilities provides prestigious meeting rooms, corporate boardrooms, day suites and interview rooms to conduct corporate meetings or business gatherings. SwissOffices Meeting Facilities are furnished and fully IT equipped with state of the art video conferencing and teleconferencing equipment providing the perfect corporate setting for your meetings. You can hire meeting rooms whenever or wherever you need it. You do not have to undertake the costs of spaces that you do not need permanently. Swiss Meeting Facilities provides you with corporate meeting rooms at the districts where business center are located with professional staff committed to your business success. SwissOffices meeting rooms are available whenever you need them, so that you can have your business meetings within the most reasonable costs. Swiss Meeting Rooms offer you corporate meeting rooms with professional support staff at the central business districts. SwissOffices Meeting Rooms are furnished and fully equipped with state of the art technology providing a perfect corporate setting for your meetings. In order to carry out your important business meetings in an professional and institutionalized environment SwissOffices boardrooms are always available whether you are a member of the office schemes or not. Make the right impression at your next business meeting in a professional, corporate environment. Your meetings, business negotiations and your presentations will definitely be more effective and productive in our meeting rooms expertly designed for every such occasion. You can book your next meeting at any SwissOffices location. You can make your booking either on an hourly basis or for the whole day. The SwissOffices team will ensure that all your requirements are met and add value to your business. Our fully equipped and stylish meeting rooms await you in very favorable conditions for your business meetings.